In total, 180 nests were monitored with the sample spread between the core area of the range and the edge. Of these, 113 were successful, fledging 144 young. The mean number of young per nest was 0.80, and 1.27 per successful nest. 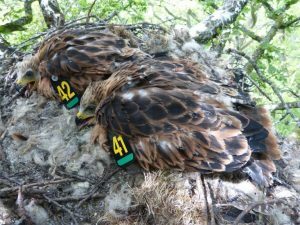 As in previous years, the Shropshire red kites had the highest productivity, and this was due to larger brood sizes rather than a significantly higher nest success rate. 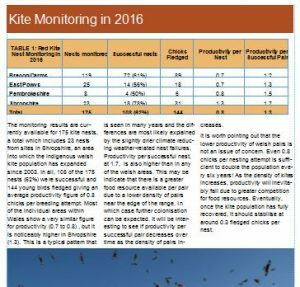 Pembrokeshire showed the lowest productivity with nest failures associated with bad weather in early May and the first week of June.